1. Buying an energy saving appliance will pay for itself. When it comes time to buy appliances you should definitely consider energy costs, but it's almost never a good idea to buy an appliance that you otherwise don't need just for the energy savings. If you run the numbers it just won't add up. 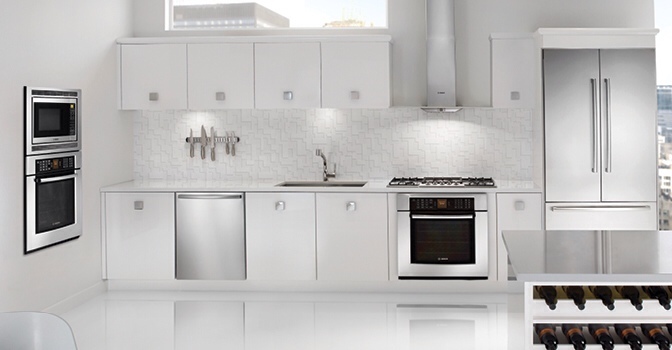 When you do need to purchase a new appliance, you shouldn't pay much extra just for energy savings or the payback might take longer than the life of the appliance. By far, most of the energy used to run your house is used for heating and cooling, not for the operation of your household appliances. When it comes to saving money, you can save more money by changing a conventional incandescent lightbulb to CFC than you can by switching a cooktop from gas or electric, to an energy saving induction cooktop. This is such a hot topic that I'll probably post a future blog just on this subject, but the data is compelling. 2. “Bells and whistles” on appliances are big profit makers for appliance dealers and a waste of money for consumers. Earlier in my appliance career, part of my job was fielding calls from homebuyers in a retirement community who wanted to switch their standard builder model appliances (after using them) for upgraded new models. They had discovered that one or more of their appliances didn't have the features they needed. While they were given the opportunity to upgrade at the time of purchase, they'd usually say that since they were only living in the home during the winter, they didn't want to pay the extra for all the bells and whistles. But now they were disappointed that the range wasn't self-clean, the dishwasher didn't have a china cycle, and the washing machine lacked a delicates setting. I'd then have to explain that these are the same bells and whistles that they were unwilling to pay for earlier. They may sound like frills at the time of purchase, but when you decline them you can't add them later. While it's not good to pay too much for an appliance that has features you don't need, it's much worse to pay too little for an appliance that lacks the features you do need. This entry was posted in Appliances and tagged appliances, cooktops, dishwasher, electric, energy, gas, household appliance, induction, myth, range, saving money, savings, washer. Bookmark the permalink.